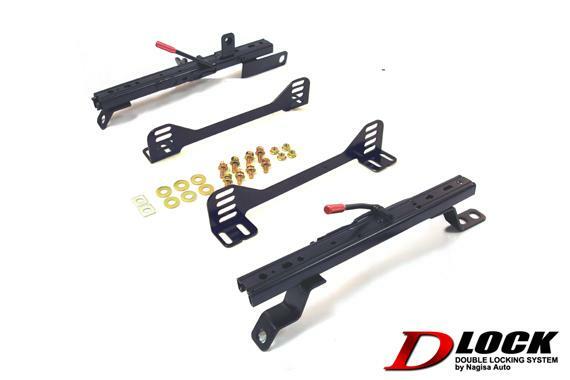 Nagisa Auto Super Low Seat Rails - D-Lock NISSAN - Dezod Motorsports Inc - Home of the automotive performance enthusiast since 2002. The all new Nagisa Auto “D-LOCK” Super Low Seat Rail adds ‘zero-play’ of the seat rail and slider with a Double Locking Mechanism. Adjustable low positions, and will fit most standard size bucket seats.